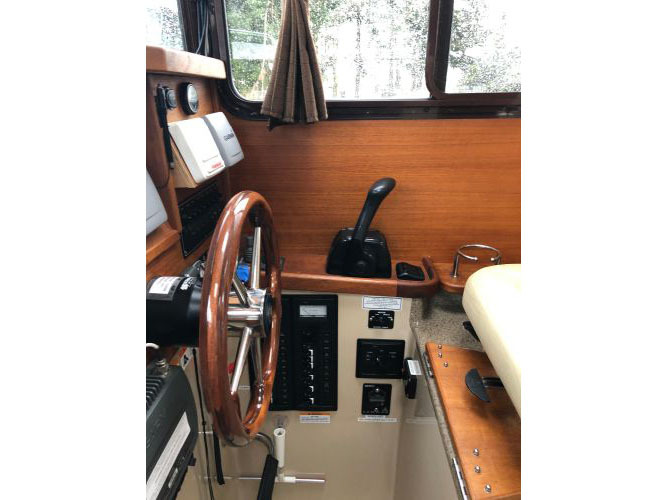 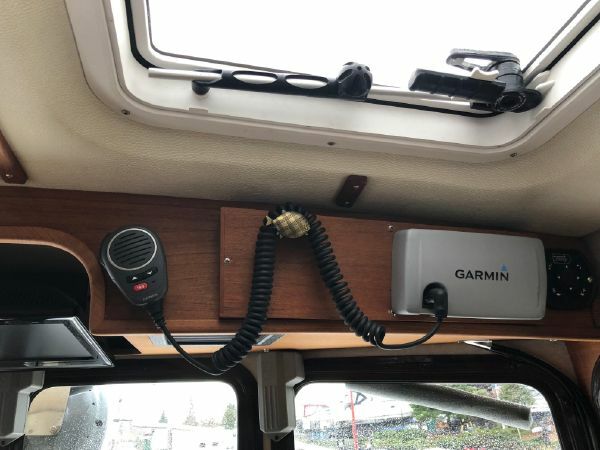 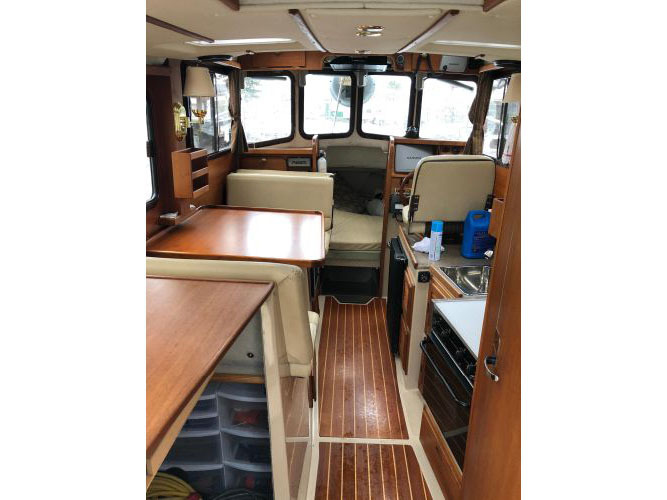 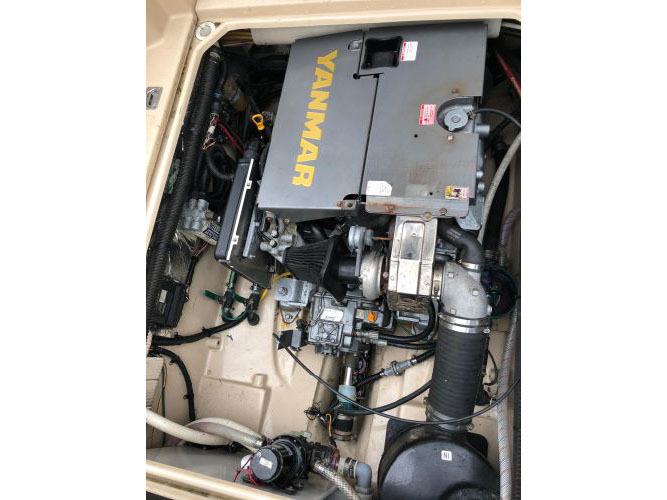 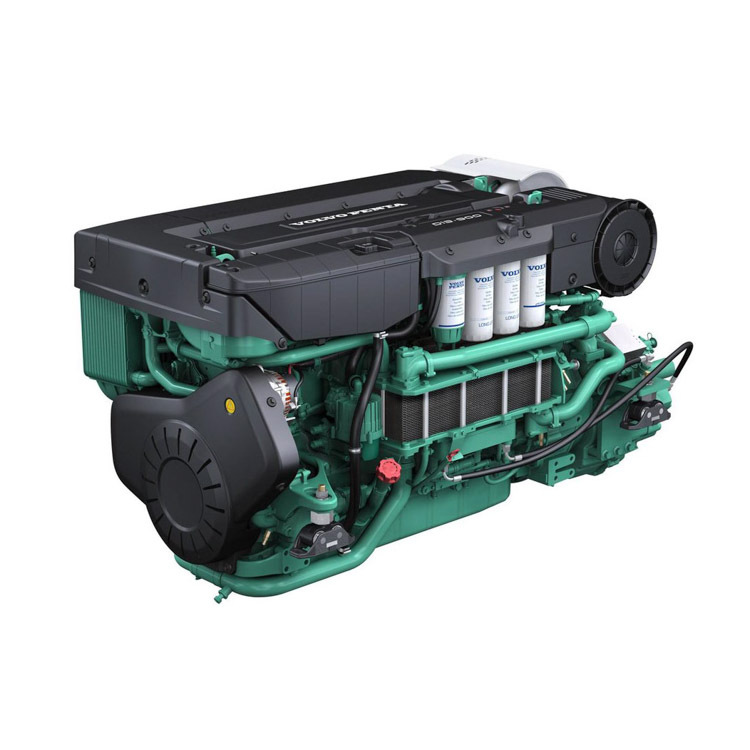 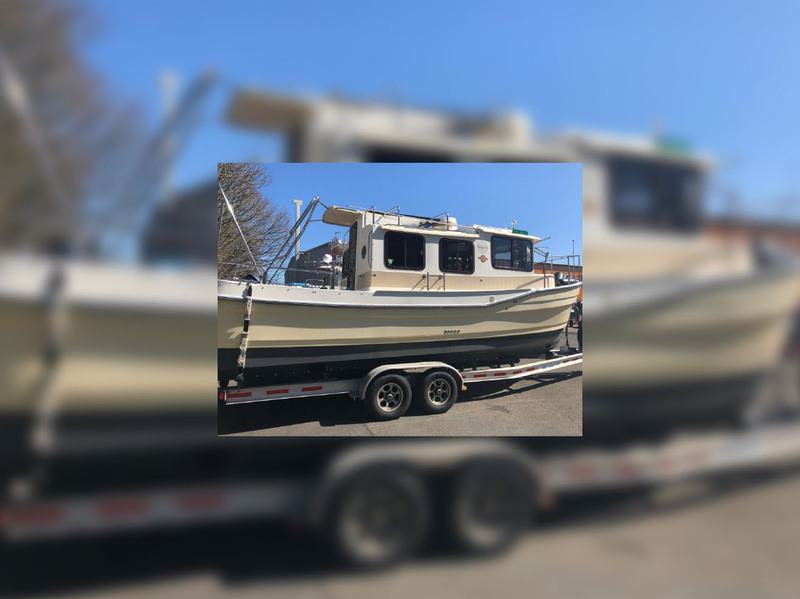 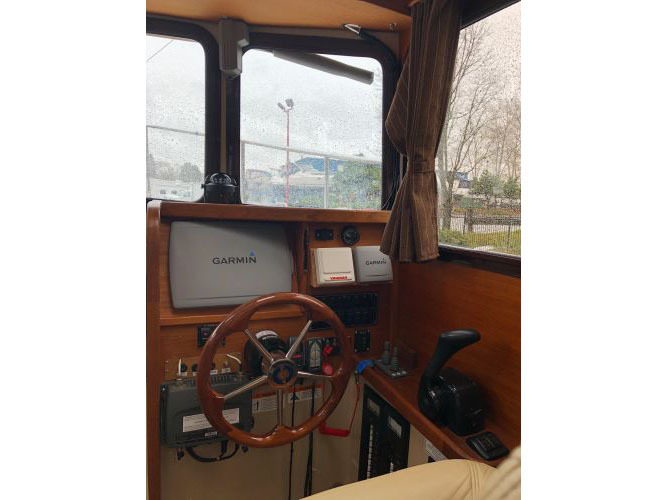 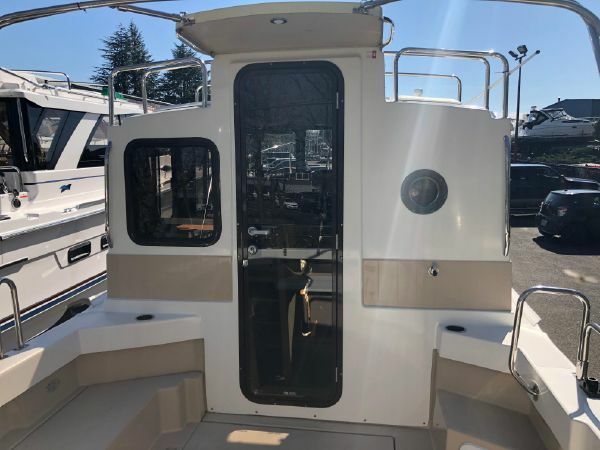 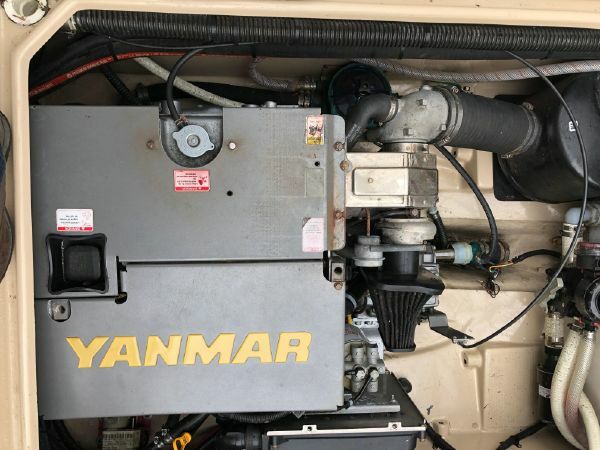 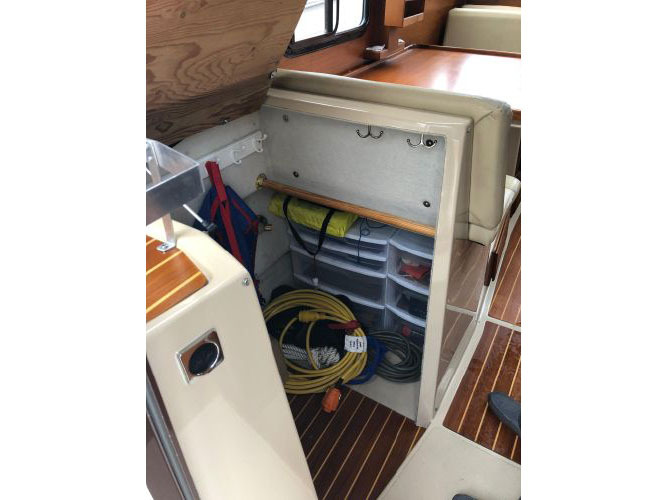 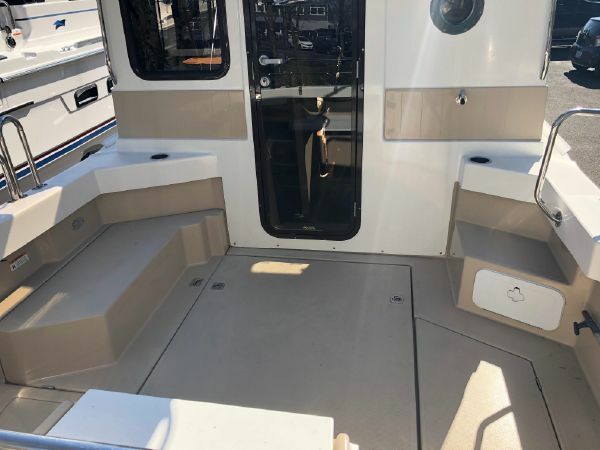 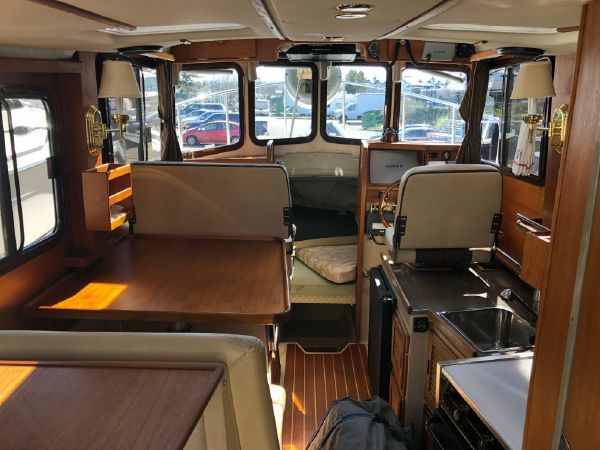 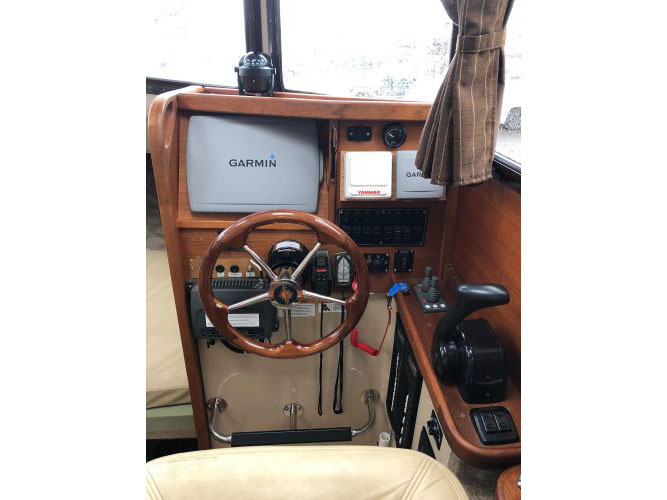 This very popular vessel has a large aft cockpit allowing for easy access to the Yanmar 180HP diesel while keeping engine noise out of the cabin. 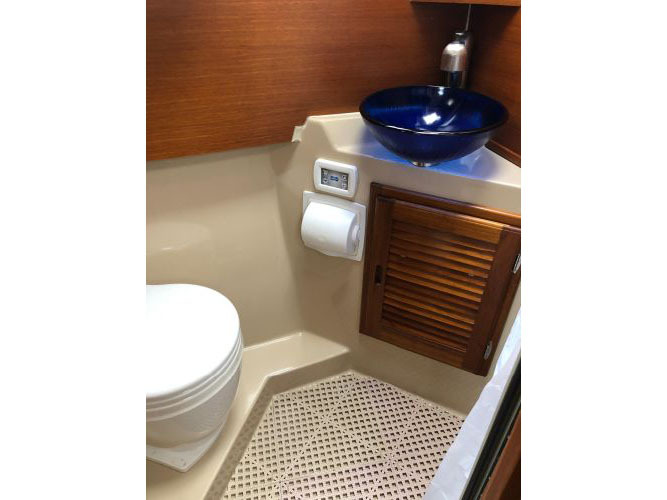 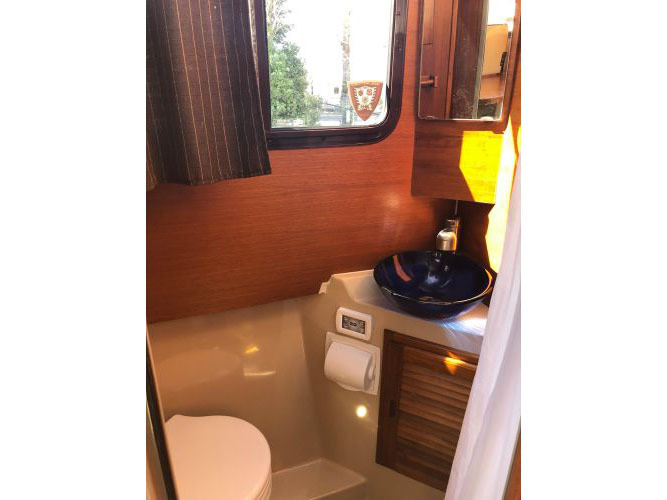 The well appointed cabin has a midship office with desk and seat, this space also converts to a berth that sleeps two. 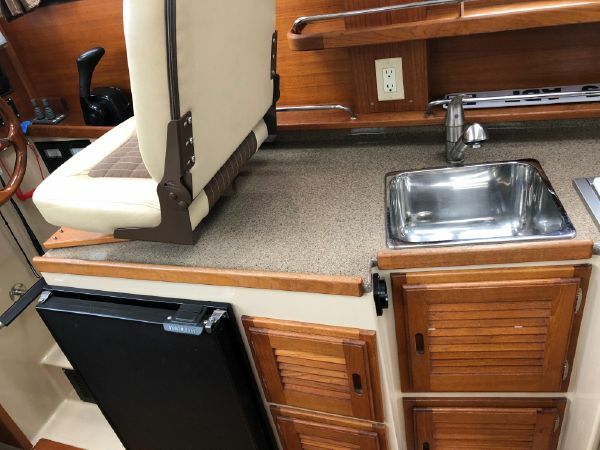 The dinette table is on a hydraulic piston that allows for an easy conversion to a berth or lounging area. 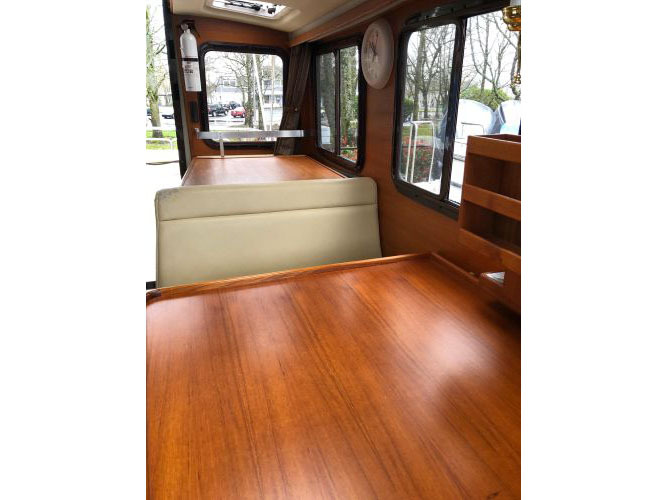 The spacious front V-berth sleeps two adults and is over 6'5" in length. 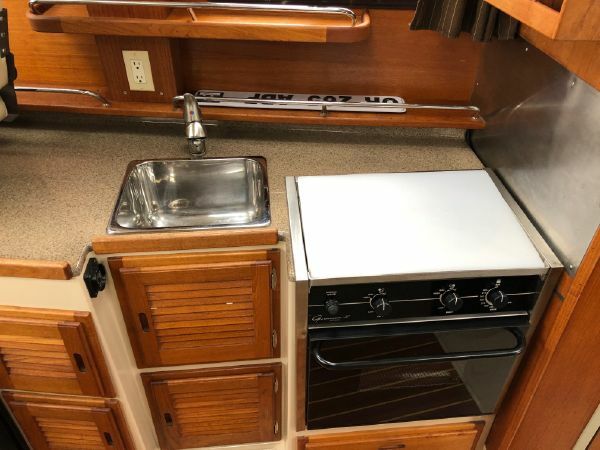 The galley which includes a sink, refrigerator, inverter, microwave and a combination propane stove/oven. 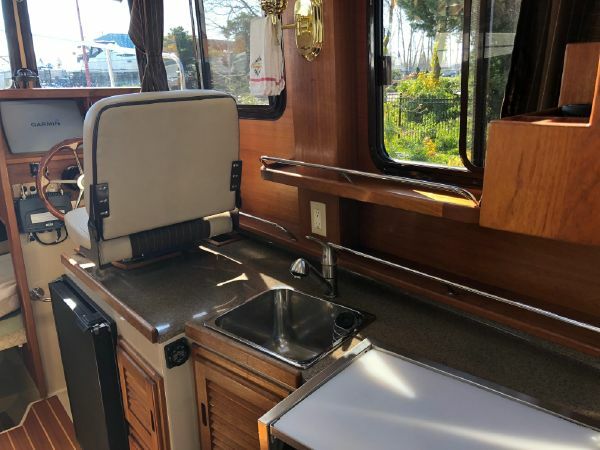 A new marine head with an electric flush, glass vessel sink and shower. 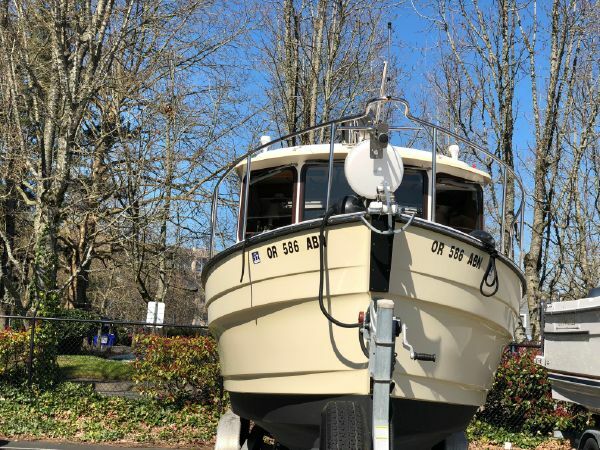 maneuvering is aided by bow and stern thrusters. 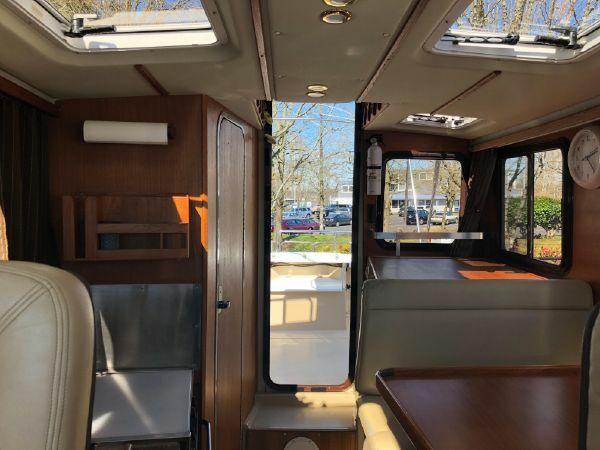 Visibility is excellent thru the Diamond Sea glass windows which surround the salon.